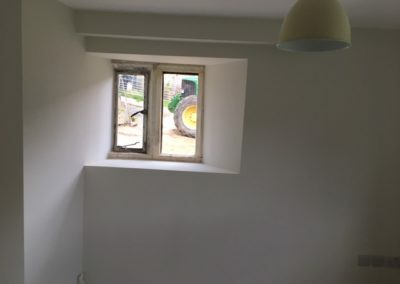 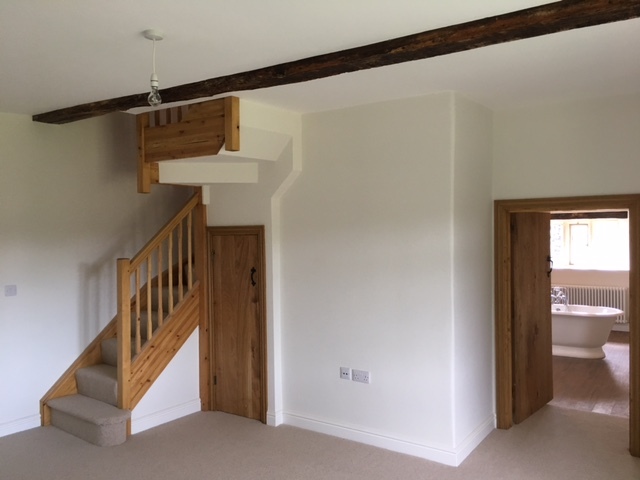 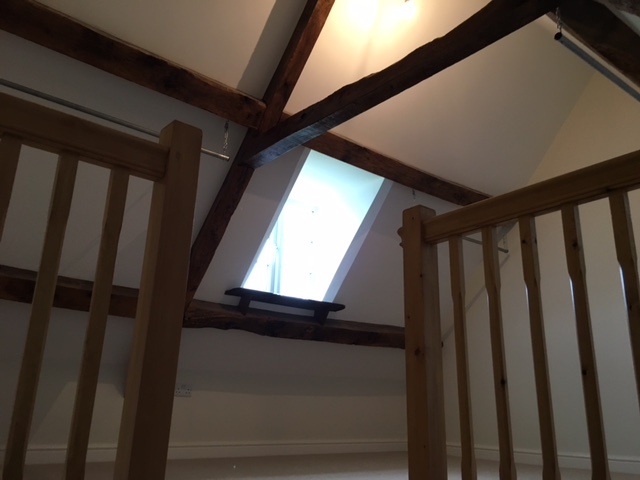 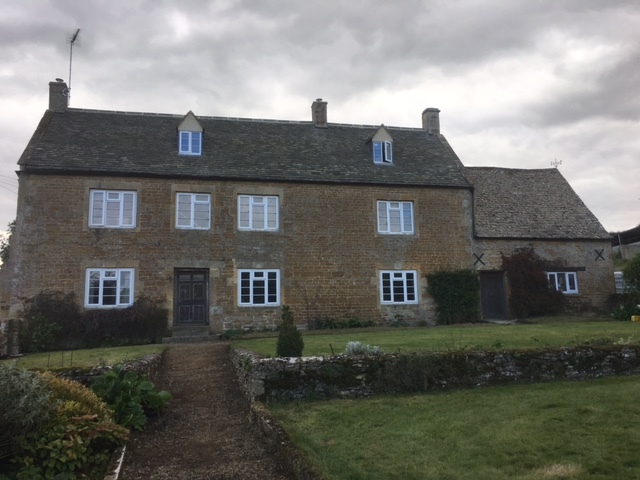 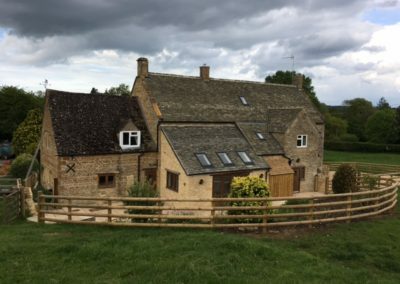 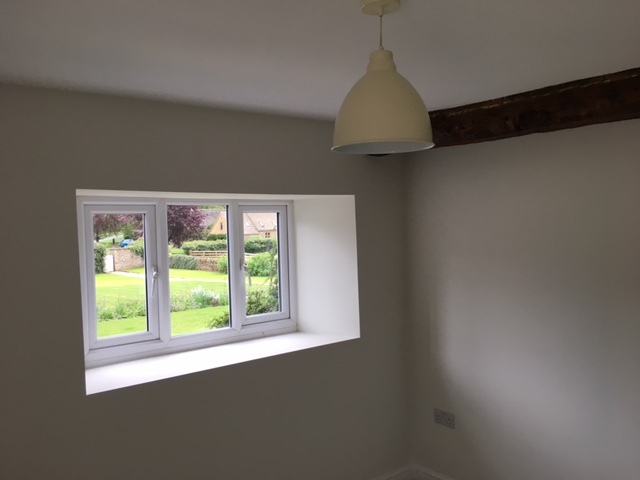 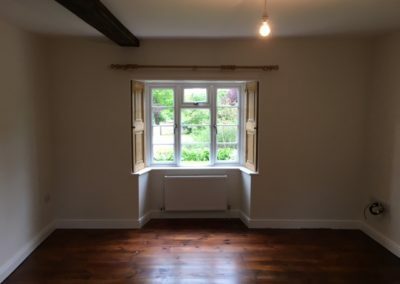 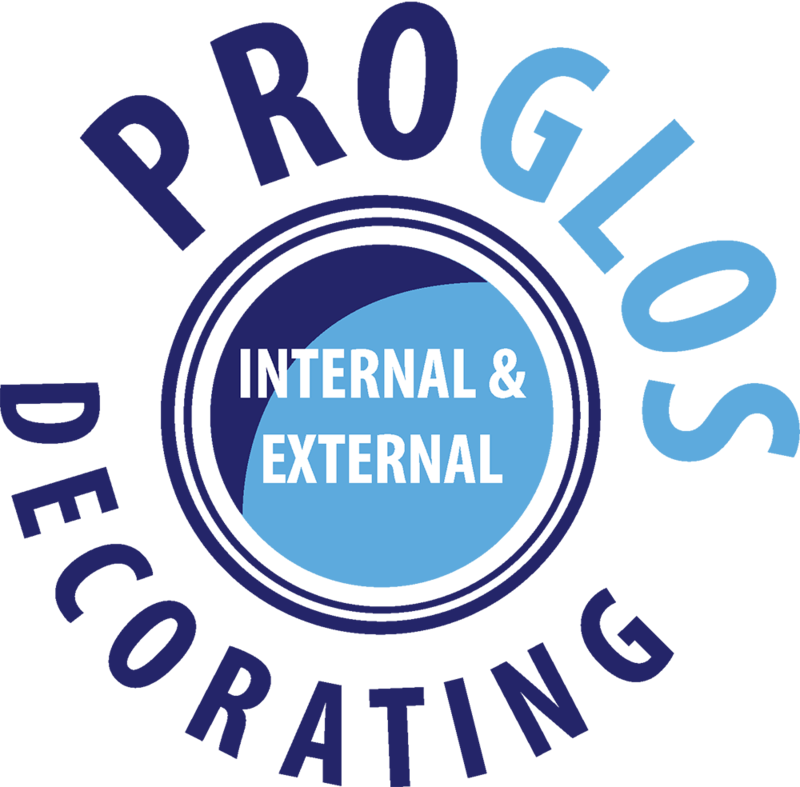 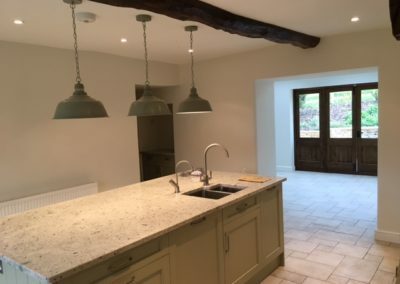 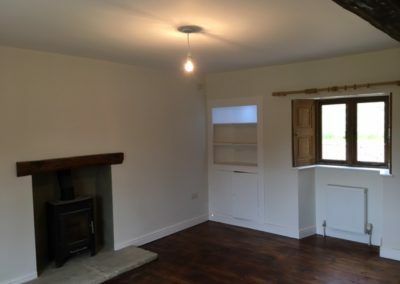 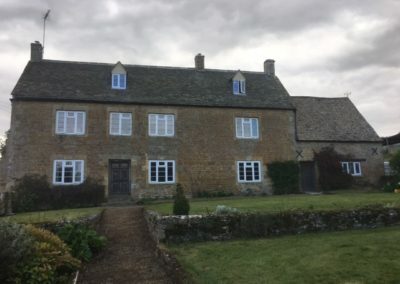 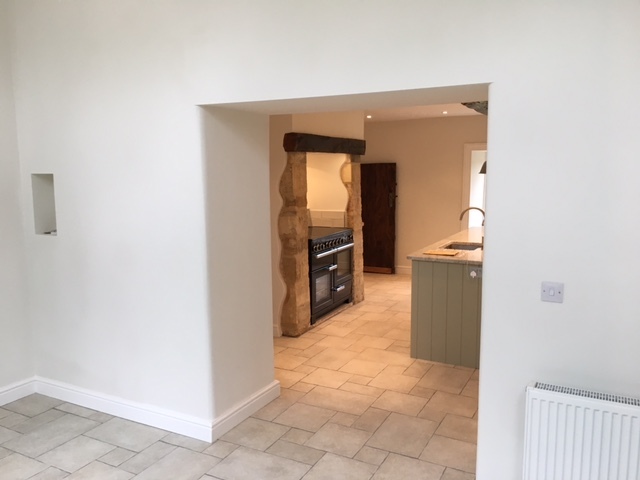 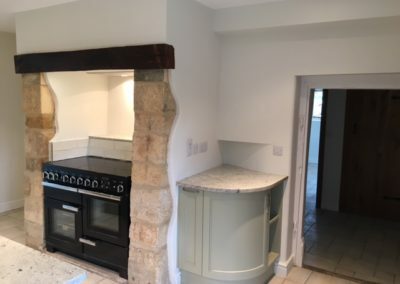 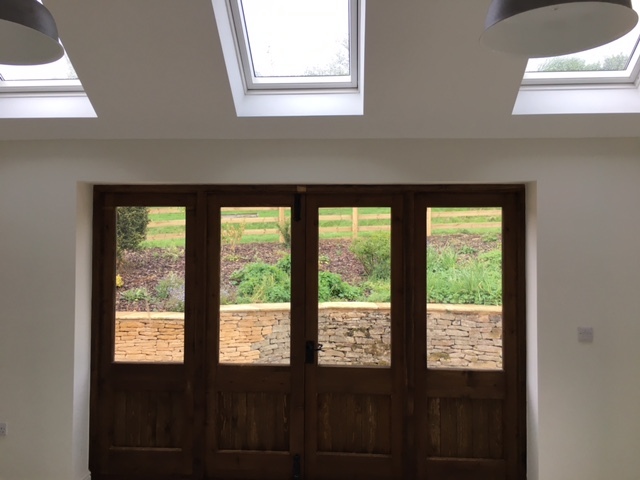 CASE STUDY: Oddington Farmhouse - Interior painting - Pro Glos - Professional Painting & Decorating. 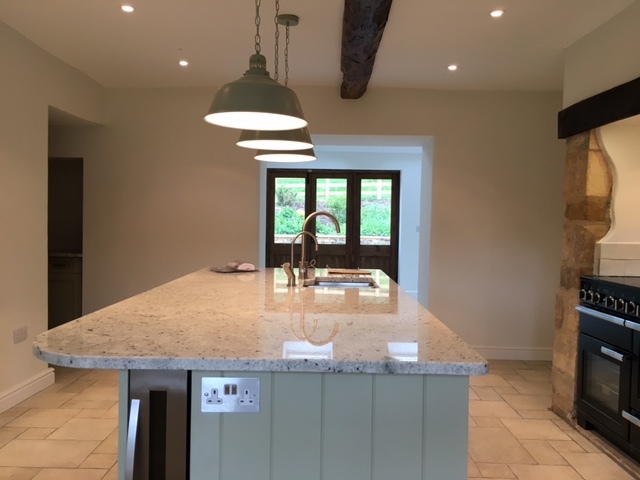 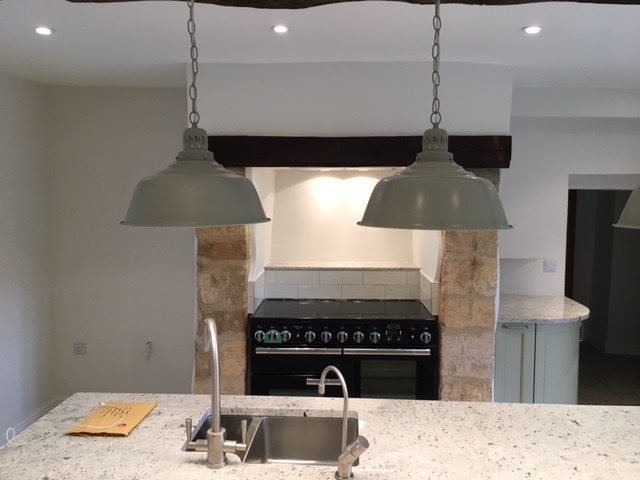 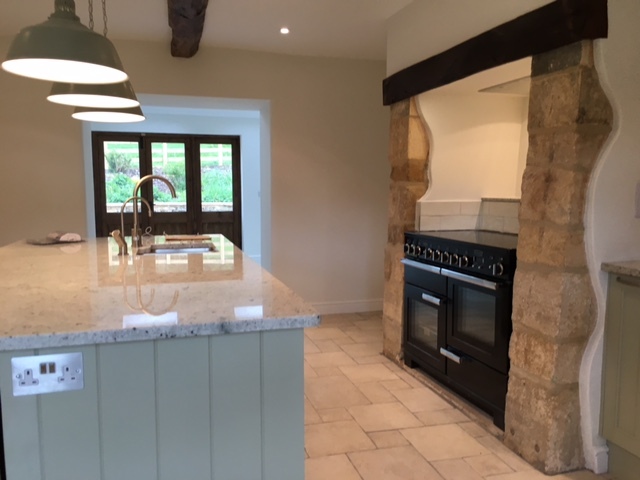 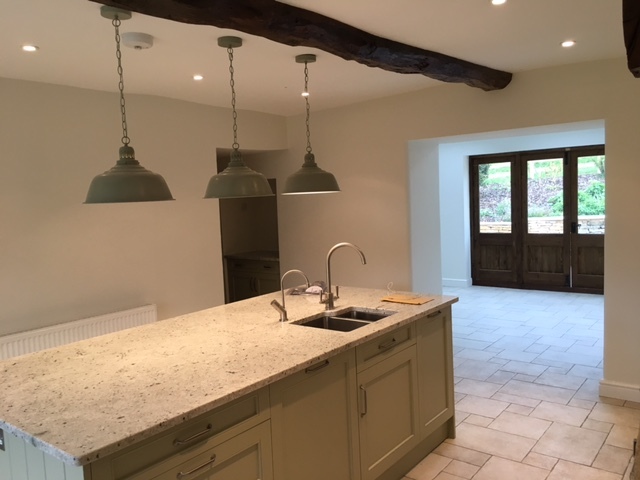 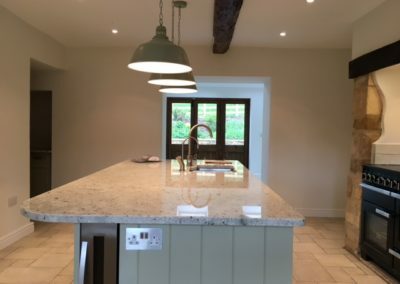 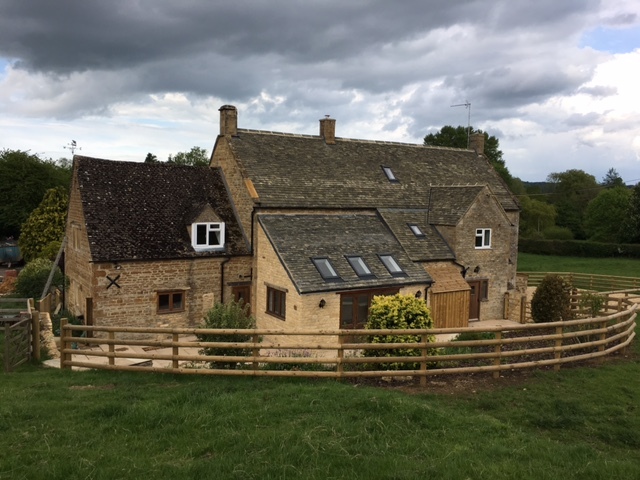 We were very happy to work on this beautiful farmhouse, bringing old and new together. 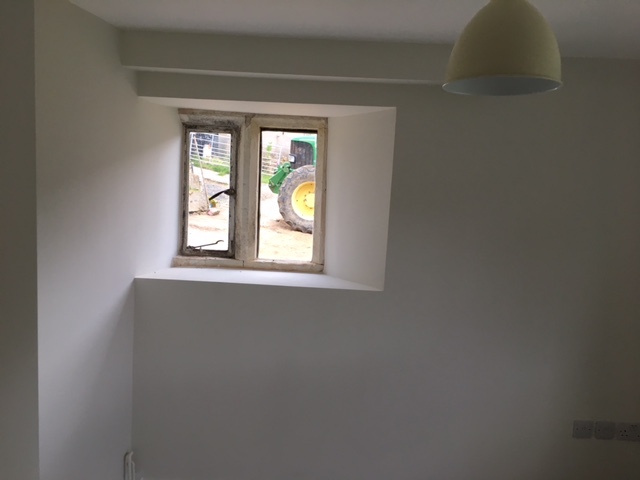 We plastered whole house including ceilings, walls and uneven walls. 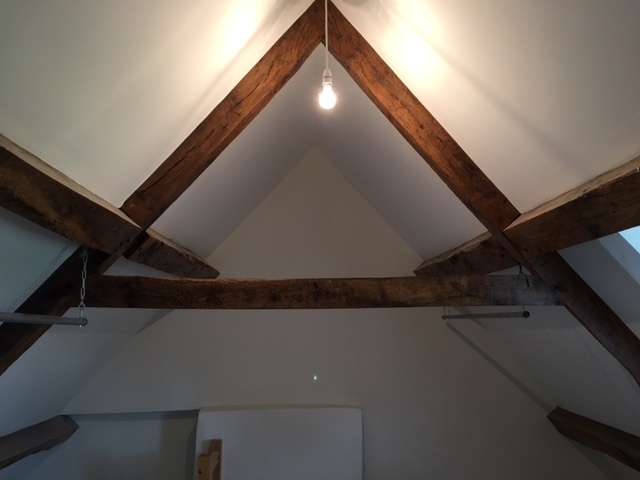 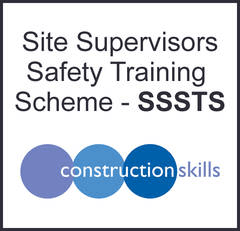 New carpentry bar beams were installed using our additional services. We painted every ceiling, walls (using Little Green Paint Company) and all woodwork to the customers specification. 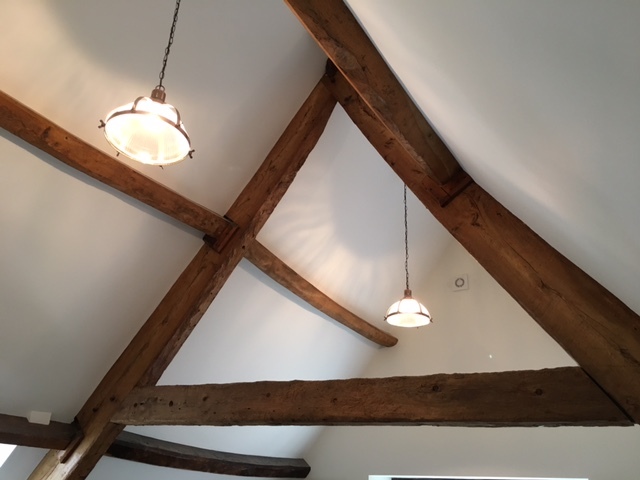 With the soft wood, we put a Sadolin stain on to ensure it was in keeping with the rest of the original beams. 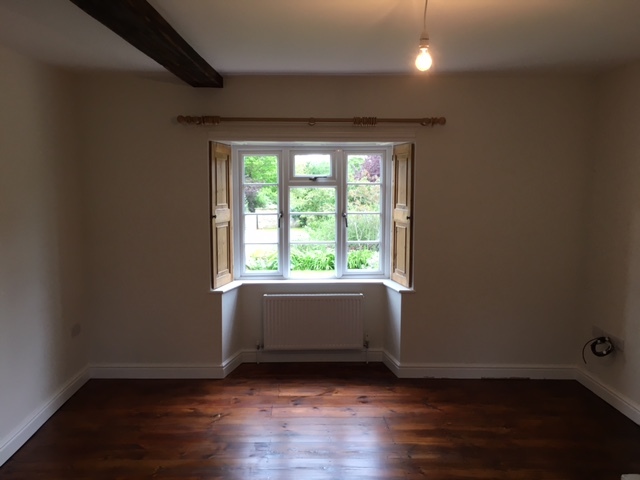 We advised that the wood was too soft and so we painted it to look the same as hardwood. 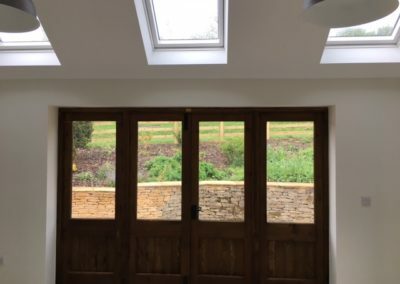 On the doors we used Osmo, an antibacterial oil. 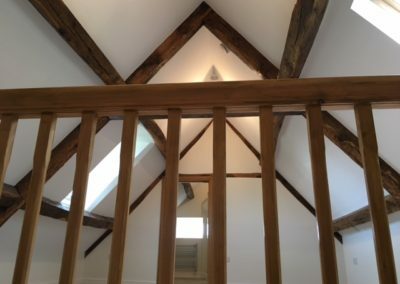 It is expensive, but really enhances the natural tones of the wood. The original colour was kept but a little darker due to the oil. 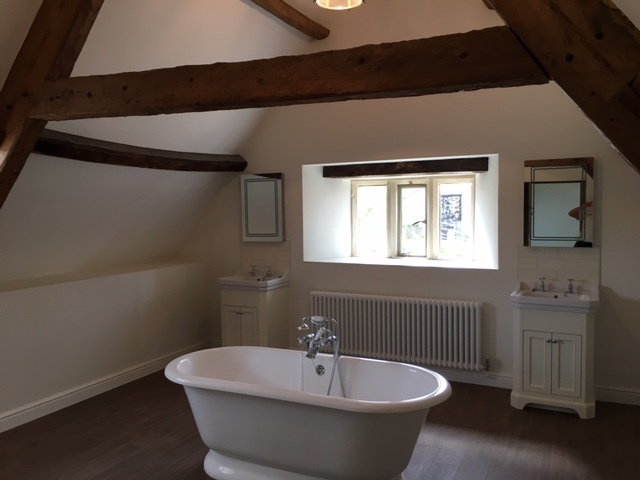 We decorated the stunning bathroom in which included a huge space with a vaulted, beamed ceiling. 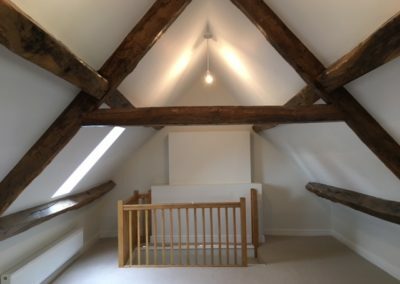 All of the bedrooms had fresh white paint in the bedrooms to give a lovely contrast to the traditional wooden doors and beams. We freshly painted the sitting room and dining rooms walls and also full decoration to the kitchen. Finally we repainted the beamed loft space. 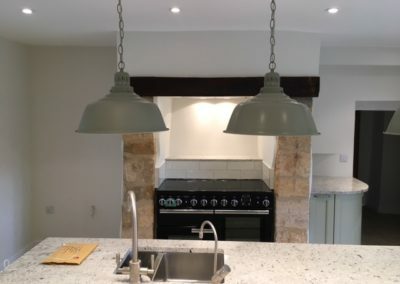 A very beautiful and satisfying job to work on.